With a little less than two weeks to go, the Salina Salvation is $39,000 short of its Kettle Campaign goal. 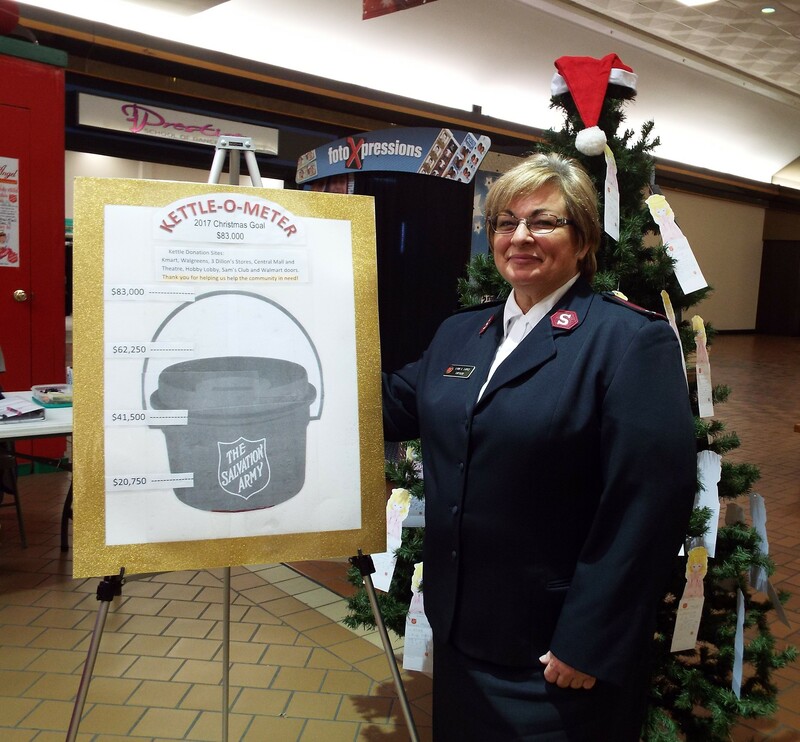 Captain Lynn Lopez tells KSAL News that they are at $44,000 of their $83,000 goal for the Kettle Campaign. They have only have 10 days left to reach the goal. The Kettle Campaign is the organization’s single largest fund raiser. It funds local Salvation Army programs throughout the year. Lopez says the funds they collect remain local and are used all year long for Emergency Services including rent, utilities, and food, the Community Meal Program, and the Food Pantry. It also provides some funding for the Christmas programs. Bell ringers will be out accepting donations through December 23rd. Captain Lynn Lopez tells KSAL News that they are $39,000 short of their $83,000 goal.